Tons burthen: 320 BM, 177 register. In 1900: 187 tons gross, 110 net register. Fox was a built as a yacht for Sir Richard Sutton, 2nd Baronet at a cost of about £5000. The ship's hull was diagonally planked with Scotch larch on the inside and East India teak on the outside, and the two-cylinder auxiliary steam engine of 16 n.h.p. gave a speed of about seven knots. Fox had made just one cruise to Norway before Sutton’s death. After a period of use in the Baltic during the Crimean War, the vessel was laid up in a partly dismantled state at the builders’ yards. 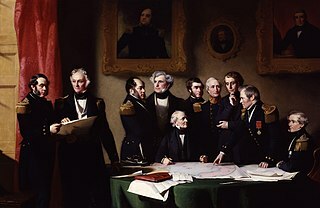 The executors of Sutton's will sold the ship for £2000 to Lady Franklin for her Arctic search. Land-based expeditions in 1854 and 1855 under John Rae and James Anderson had discovered relics from the missing expedition north of Back River, south-west of the Boothia Peninsula. Lady Franklin had previously sent three expeditions to search this area, but all had failed to reach it. She purchased Fox in April 1857 after finally accepting advice that the 159-ton auxiliary schooner Isabel that she had owned since 1852 was too small for the job, and the government had denied her requests to use HMS Resolute. The sailing master was Allen Young, who donated £500 towards the subscriptions raised for the expedition (about £3000 in cash or kind). Fox's second-in-command was Lieutenant William Hobson, RN. Fox left Aberdeen on 1 July 1857, and managed to pass through the Bellot Strait briefly before finding a secure winter anchorage to the east of the Strait off the Boothia Peninsula. Over the next two years extensive expeditions were made by sled to the west of the Boothia Peninsula. On 6 May 1859 William Hobson discovered the only written messages from the missing expedition ever found, in cairns on King William Island. The overland parties returned to the ship, which then left for Plymouth, arriving on 20 September. Three of the ship's crew died during the expedition: the engineer from natural causes, his assistant by a shipboard accident, and the steward from scurvy. Fox in a hurricane from Fox-Expeditionen i Aaret 1860 over Færøerne, Island og Grønland. Still under Allen Young's command, Fox was engaged in survey work off the coast of Norway in conjunction with laying a North Atlantic telegraph cable in 1860-61 before being sold to the Danish Royal Greenland Company. By the late 1880s Fox was owned by Akties. Kryolith Mine-og Handels Selskabet of Copenhagen, and was refitted with a 17 nhp compound steam engine made by Burmeister & Wain. After a long and useful career Fox was wrecked on the coast of Greenland in 1912. Francis Leopold McClintock, The Voyage of the Fox in the Arctic Seas: A Narrative of the Discovery of the Fate of Sir John Franklin and his Companions, John Murray, London, 1859. The Times newspaper (London), 16 April 1857, 16 May 1857, 3 June 1857, 6 August 1912. Proceedings of the Royal Geographical Society of London, 11 February 1861 (RGS, London). Lloyd's Register of Shipping, 1900 edn. Carl Petersen, "Den sidste Franklin-expedition med "Fox", Capt. M'Clintock", Fr. Wøldikes Forlagsboghandel, Copenhagen, 1860. Melville Island is an uninhabited island of the Canadian Arctic Archipelago with an area of 42,149 km2 (16,274 sq mi). It is the 33rd largest island in the world and Canada's eighth largest island. Melville Island is shared by the Northwest Territories, which is responsible for the western half of the island, and Nunavut, which is responsible for the eastern half. The border runs along the 110th meridian west. The mountains on Melville Island, some of the largest in the western Canadian Arctic, reach heights of 1,000 m (3,300 ft). There are two subnational pene-exclaves that lie west of the 110th meridian and form part of the Northwest Territories. These can only be reached by land from Nunavut or boat from the Northwest Territories. One of the larger members of the Canadian Arctic Archipelago, Prince of Wales Island is an Arctic island in Nunavut, Canada, lying between Victoria Island and Somerset Island and south of the Queen Elizabeth Islands. Eglinton Island an uninhabited island of the Canadian Arctic Archipelago in the Northwest Territories, Canada. Eglinton is one of the Queen Elizabeth Islands. Located at 75°48'N 118°30'W, it measures 1,541 km2 (595 sq mi) in size, 73 kilometres (45 mi) long and 44 kilometres (27 mi) wide in measurements. It lies on the north side of the M'Clure Strait, just south of the much larger Prince Patrick Island and is uninhabited with no known human activity.